Home / Knitting blog / Do you like instant gratification? 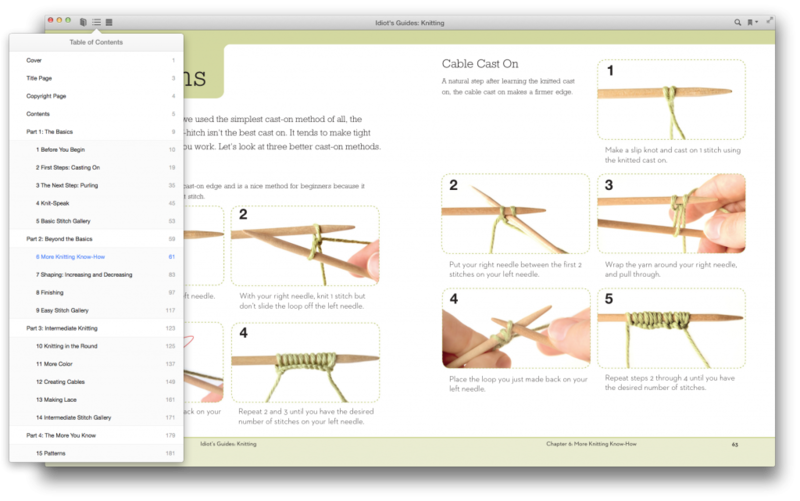 I just noticed that the Idiot's Guide to Knitting is available for immediate download as an iBook! This is fantastic. You can also, of course, download it as a Kindle. And I love Kindle for reading. It's great for novels, for example. But, let's be honest, it's not fantastic for image-intensive books. 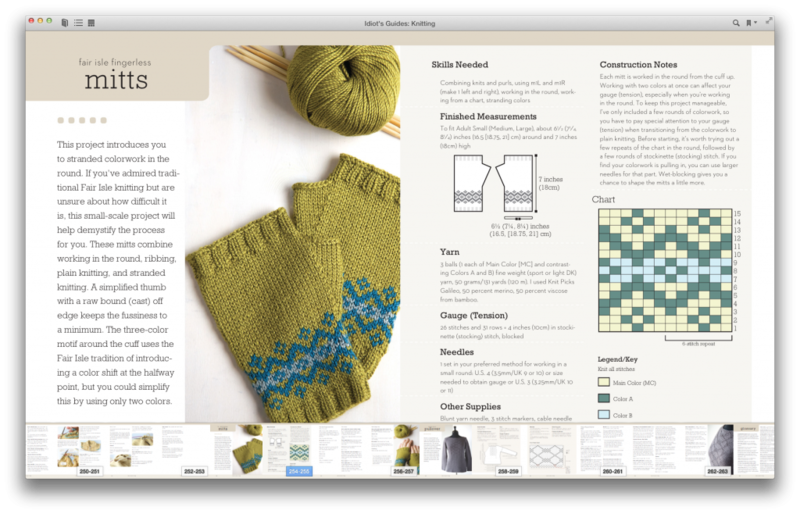 And the Idiot's Guide to Knitting is full of big images. You can even have your Mac read the book to you. It does sound a little odd to have the robot voice say "BABIES CAN PULL OFF THE MOST WHIMSICAL ACCESSORIES GIVING YOU THE PERFECT OPPORTUNITY TO KNIT SOMETHING FUN LIKE THIS EASY HAT WITH SPORTY STRIPES AND JAUNTY TASSELS" Try reciting that in a robot voice and you'll see how funny "jaunty tassels" sounds.